A little over a year ago, the United States Supreme Court ruled in what is now known as the Citizens United case. The Court struck down a provision of the McCain–Feingold Act that prohibited all corporations, both for-profit and not-for-profit, and unions from broadcasting “electioneering communications.” An “electioneering communication” was defined in McCain–Feingold as a broadcast, cable, or satellite communication that mentioned a candidate within 60 days of a general election or thirty days of a primary. In other words, corporations have no limit on the amount of money they may spend on advertisements in political campaign. In addition, they do not have to state their identity in the advertisements, so the public has no way of knowing who is paying for them. This gives corporations even more power over our government with no recourse for Americans who want to know who is influencing candidates and few options for those who want to make their voice heard. There are several courses of action being taken to remedy this unjust ruling. Require organizations involved in political campaigning to disclose the identity of the large donors, and to reveal their identities in any political ads they fund. It would also bar foreign corporations, government contractors and TARP recipients from making political expenditures. Notably, the bill would exempt all long-standing, non-profit organizations with more than 500,000 members from having to disclose their donor lists. This bill passed the House of Representatives in 2010, but failed to pass in the Senate. If it is to become law, it must be reintroduced in the House. Others have attempted to amend the Constitution. An amendment was introduced to Congress last year, and although none have been introduced to State Legislatures, I hope it is only a matter of time. This week, I will be writing to my Representative and Senators about the DISCLOSE Act and a Constitutional Amendment, and also to my State Assemblyman and State Senator about the introduction of a Constitutional Amendment. This link provides more information about contacting your State Legislature. This letter is modified from the one at Motion to Amend. I am writing to you today because action must be taken to remedy the grave injustice caused by the Supreme Court’s Ruling in the Citizens United Case. I strongly urge you to support a reintroduction and passage of the DISCLOSE Act. For my letter to my State Legislature, I will simply remove the sentence about the DISCLOSE Act. Ever since I read “Not Just A Pretty Face: The Ugly Side of the Beauty Industry” by Stacy Malkin, I’ve slowly started to change the way I purchase and use cosmetics. I frequently consult the Skin Deep Database at The Campaign for Safe Cosmetics. I don’t have any hard and fast rules, but I try to purchase products that are at least one of the following: fragrance free, have organic ingredients and/or do not contain phthalates or parabens. I will be reviewing some of the brands of natural cosmetics that I use regularly. To see all of the posts in this series, click here. I have stated that I’ve gone “fragrance free.” What I mean by that is that I try not to use products that have “fragrance” listed as an ingredient. This is because that term doesn’t mean a specific ingredient. It’s a placeholder for a proprietary concoction that could contain carcinogenic chemicals. 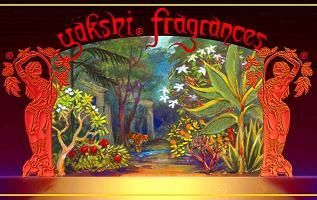 I do still like to dab on some perfume for a special occasion and Yakshi has some great products to choose from, where all the ingredients are listed on the label. My favorite is “Goddess Dreams” which is a blend of jasmine and other essential oils. They are made with a natural base of coconut oil so it’s not quite the same as using an alcohol based fragrance that most people are used to. However I’ve never had it stain my clothing or tarnish my jewelry. I go to a salon that uses many products that are organic. This product line was recommended to me there. I purchased the “Organic Aloe Vera & Seaweed Gel. It did the job, but it took a while to get used to the feeling of using an aloe gel rather than a cream or lotion. I first noticed this brand when shopping for some makeup to wear to an 80′s party I was attending. Most of my lipsticks are a deep rose color or a maroon. I needed something RED. I purchased their “C Me Shine Lip Gloss” in “Red Hot” and was not disappointed. I did have to reapply several times to get the color to stay, but that is to be expected from a gloss. I also use the Yes to Cucumbers Daily Calming Moisturizer, which I think is my favorite one of all right now. It makes me feel good, and it was super cute to see members of Congress on their bipartisan dates, but I don’t know if there’s a there there. I still think Melissa McEwan said it best a few years ago, but I have more to add because the situation has not changed much in 3 years, it might have even gotten worse. George W Bush supported Immigration Reform, the START Treaty and the assault weapons ban – all unthinkable in today’s Republican Party. One of my favorite questions about America today is brought to the forefront of my mind when I hear rhetoric like President Obama’s. I like the idea that despite our differences in race, ethnicity, religion, sexuality, and class we are all Americans. My father was not born in the US, and yet he is a proud citizen and veteran. I’m the daughter of a family containing different ethnicities and faiths, but in addition to the love that makes us a family, we also share a national identity as Americans. Something I have been thinking about for a long time is this – what about people who don’t agree with the Constitution? People who oppose Birthright Citizenship, The Civil Rights Act, The Voting Rights Act or even Women’s Suffrage? If the definition of an American is one who believes in the vision of the founding fathers, in what way are those people Americans? I am deeply troubled by this question. What’s needed is a broad majority of Americans – Democrats, Republicans, and independents of goodwill – who are reengaged in the project of national renewal, and who see their own self-interest as inextricably linked to the interests of others. I don’t know what that means. I know that I am a liberal because I believe that my self interest is inextricably linked to the interests of others, among other reasons. But that view is wholly incompatible with modern American conservatism. It is in fact, fundamentally opposed. Why, then would President Obama write as if we have any philosophical common ground? We might have common ground on certain issues or policies. But not that one. Collectivism is a liberal, not a conservative value and you can’t just make it something everyone holds dear by fiat because it gives you goosebumps. However, I might be wrong. In his first two years, President Obama has achieved an impressive amount of legislative victories, and if his incomprehensible (to me) point of view has contributed to his success in any way, I hope that he will continue to hold it. I would rather be making progress than have a leader who sits on his hands out of spite. The State of the Union is tonight! Tune in and watch President Obama’s State of the Union address tonight. I will be commenting on Twitter. It is my fervent hope that The State of the Union Drinking Game will be updated in time. The Clean Air Act gives the Environmental Protection Agency the authority to regulate hazardous air pollutants. In addition to an initial list of pollutants, the Administrator of the EPA must periodically review it and add any new substances found to be hazardous. The EPA has decided to classify greenhouse gas emissions as hazardous air pollutants because of the role they play in climate change. This was in direct response to a United States Supreme Court ruling in 2007 which declared that they must make a decision on the matter. Now, the new Republican Congress has decided to take action to remove this authority from the EPA. The specific bill is HR 391, and was introduced by Representative Marsha Blackburn, Republican of Tennessee and currently has 154 co-sponsors. Since the previous Congress (and all previous Congresses) failed to pass comprehensive legislation to reduce greenhouse gas emissions in the United States, we cannot stand idly by while the EPA is rendered useless to deal with the problem. The EPA’s course of action will not be to implement a cap and trade system, although that would be ideal, and a precedent has been set by some states and other countries. However, we must not let better be the enemy of the good. The effects of climate change grow exponentially and will have disastrous consequences, and so we must take any action we can to mitigate it. The argument against EPA regulation of greenhouse gas emissions is weak. Aside from straight up climate change denial are arguments that this will harm the economy and that it is an overstep of government authority. While some industries like coal or oil will experience setbacks, we should not let this stand in the way of protecting not only the existence of human life on earth, but its quality in terms of health and the peace and stability of nations. Regulation of greenhouse gas emissions will create an incentive for new technological innovations – to either abate pollution or to create clean, non-polluting energy sources. This will boost the economy. As standards tighten and industries strive to meet them this will become more apparent. For example, if such a thing as “clean coal” exists then this will be a boon for it. Our national government today is not structured to make a coordinated attack on the pollutants which debase the air we breathe, the water we drink, and the land that grows our food. Indeed, the present governmental structure for dealing with environmental pollution often defies effective and concerted action. Despite its complexity, for pollution control purposes the environment must be perceived as a single, interrelated system. Present assignments of departmental responsibilities do not reflect this interrelatedness. Many agency missions, for example, are designed primarily along media lines–air, water, and land. Yet the sources of air, water, and land pollution are interrelated and often interchangeable. A single source may pollute the air with smoke and chemicals, the land with solid wastes, and a river or lake with chemical and other wastes. Control of the air pollution may produce more solid wastes, which then pollute the land or water. Control of the water-polluting effluent may convert it into solid wastes, which must be disposed of on land. Similarly, some pollutants–chemicals, radiation, pesticides–appear in all media. Successful control of them at present requires the coordinated efforts of a variety of separate agencies and departments. The results are not always successful. I will be sending the following letter to my Congressional Representative and both of my Senators. Global climate change is a serious issue which has the potential to negatively impact every person on Earth. It is for this reason that I am writing to you today. I urge you to take all actions you can to oppose HR 391 and ensure that the Environmental Protection Agency retain its authority to regulate greenhouse has emissions. This is the quintessential granola cosmetics brand, and they don’t just sell lip balm anymore. My favorite of their products is the pomegranate lip balm, although I know the original has a somewhat fanatic following. The Honey scented one does nothing for me, and kind of smells like talc to in my opinion. I’ve used their lip shimmer, available in a wide variety of colors and it gives you the same minty feeling as the original balm. I am currently using their Carrot Day Creme as my daytime moisturizer. It smells heavenly, like a carrot cake. But it is very thick and should be applied sparingly. It hasn’t clogged my pores or caused a breakout but it can get greasy or make you look strange because of it’s yellow color if you put too much on. I have mixed feelings about their moisturizers and body washes. They do the job but the “Milk and Honey” scent smells more like buttermilk or sour cream to me. I couldn’t write a series about natural cosmetics without mentioning the father of all that is crunchy about ablations. 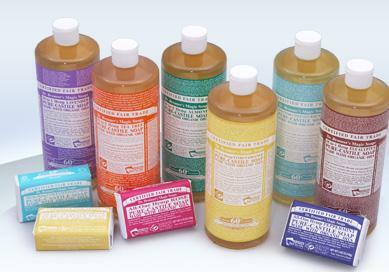 Dr. Bronner’s Magic Pure Castile liquid soaps are a wonderful alternative to mass market body washes that contain harmful carcinogens, and I highly recommend them. My favorite is the almond, because I can use it every day. The peppermint and lavender, rose and citrus are wonderful too but made with the real oils and as my eyes are very sensitive I have to be careful with them. The bottle claims you can use it to clean anything but I stick to using it as a body, hand and face wash. The one time I used it as shampoo in a pinch was not very pleasant. 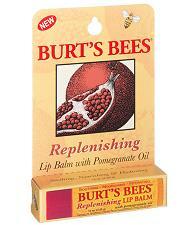 They also make a line of lip glosses, shaving creams and other personal care products which are worth a try. I picked up the coconut lip balm when it was on sale at my local drug store. I loved the texture and scent, but it was difficult to find. 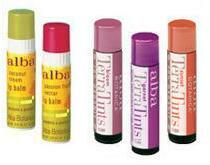 On another shopping trip, I found the Terra Tints and they are the perfect mix of moisturizing balm and colored gloss. Try these if you can find them. After hearing Gloria Feldt on the RH Reality Check podcast I decided to read this book. It’s not a typical feminist book, not theory, history or biography – Feldt lays out a solid plan for women to make their feminist values a part of their lives. It has been said that reading gives women dangerous ideas, and this book certainly gave me a few. I’ve been telling people that “No Excuses” is my motto for 2011. Very early in the book, Feldt tackles one of my favorite questions – why don’t more women run for office?The reasons are complicated and can easily be applied to any number of questions about why women have not achieved equality in a given field. But there are ways to work around whatever these obstacles are – be they lack of resources, or internalized sexism and self doubt. Women involved in Emily’s Listor The White House Project often say that given a man and a woman of equal qualifications, the man is more likely to take the initiative and run for office and the woman is more likely to say that she is unqualified. However, a survey of women politicans shows that women are more likely to run if someone asks them to than to spontaneously decide for themselves. Thus was born She Should Run a website where anyone can nominate and encourage women they know to run for office. It’s interesting to speculate what the future would look like if more women took on positions of power in government and business. A study reported in Politico reported that women are more effective legislators than men. Feldt often references the 30% threshold – this is thought to be the number of women necessary in a leadership role in an organization when they can have a substantial impact. The US Congress is far away from this at 17% but many corporate boardrooms, and even the Supreme Court are trending in that direction. Feldt also encourages women to apply these principles to their marriages and personal relationships with men if they feel they are being treated unfairly. A lot of Feldt’s argument relies on a belief that all women share common goals and should work together to achieve them. 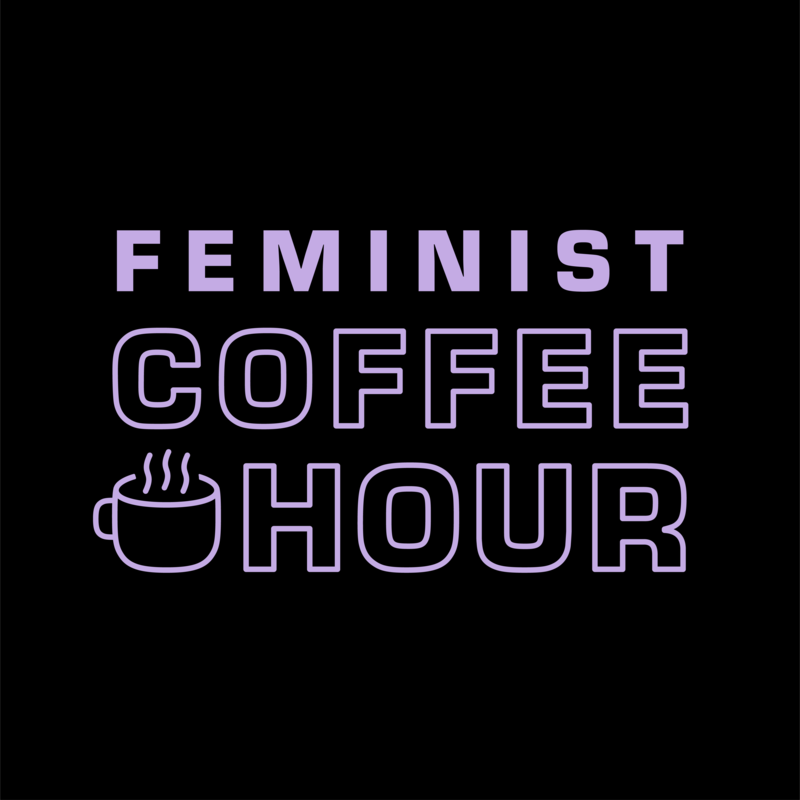 It’s heartbreaking to me that in our half-finished feminist revolution, women still tend to isolate themselves, to think that their problems are individual concerns that they must solve alone. We feel our lack of power to make change, because when one person tries to fight the system alone, she is, in fact, relatively powerless. It’s when we just think of ourselves as individuals rather than reaching out to our sisters and brothers that things are likely to stay the same for the next women that comes along. More than that, if we fail to recognize how our choices influence the world – either by reinforcing the status quo or challenging it – we’re doomed to live lives of diminished possibilities. I can agree with that on paper. But sadly the feminist movement does have some history of racism, homophobia and classism in it’s past. Feldt does include women from a diversity of backgrounds as examples in her book. But I’m not sure what she would make of women who align themselves with all of the goals of feminism but refuse to take the label because of past wrongdoing. I do agree that some policies – equal pay, reproductive justice, and better daycare for example would benefit all women. But that has more to do with the systemic sexism/injustices (Patriarchy/Kyriarchy) that remain in our society than any inherent similarities that all women share. To argue otherwise would be arguing for a type of gender essentialism that I cannot accept. Nevertheless, I really did enjoy this book, and I have been recommending it to women that I know. I had never thought about power before. When my Political Science professors would mention it, my eyes would glaze over. It was too theoretical a concept for me to be bothered with. I am a pragmatist at heart and this book does compliment that tendency. Feldt takes great care to explain exactly what she means by power, and calls her definition “power to.” As in the power to make change – in opposition to “power over” which is about hierarchy. Even so, there were a few instances of woo I could have done without. For example, I still do not understand what Feldt means by “live unlimited.” Unlimited from what? Patriarchy? Internalized sexism? Generic self-doubt? Gravity? Thetans? Without a basic understanding of the concepts of modern day feminism, the book does sound more like the Law of Attraction than a way to put theory into practice. Take for example the idea that “power must be claimed.” I understand it to mean that if I want to start a blog or a new business or run for Senate, no one will do it for me but myself. Anyone familiar with Feldt’s amazing record of activism will know what she means. Without this background, the concepts are much more nebulous. It is also for these reasons that I prefer the more specific terms autonomy and intention (which are used in the book sometimes) than power and live unlimited. This book is fundamentally liberal. In that I mean that it takes the position that women can take actions to improve their lives and the lives of other women. This philosophy is one I am firmly on the side of, and I admire the steps Feldt has taken on twitter and via other media to reach out to younger feminists to spread her ideas. “No Excuses” is extremely valuable because many women struggle with the idea that they are powerful or have autonomy I wonder how much has to do with the kinds of stereotype threat described in Delusions of Gender. It’s something I struggle with and is much easier to confront when thinking of it as a part of feminist activism that most women struggle with than a unique personal insecurity. Today our challenge is to value ourselves and demand that others do, too. Crisis pregnancy centers claim they exist to provide alternatives to abortion. At best, they can provide an adoption referral or offer a teddy bear and a few packs of diapers and formula for a pregnant woman too poor to afford them. At worst, they lie to make women think they aren’t as far along as they are – so they can run out the clock on how much time a woman has before she cannot have an abortion. Abortions get more expensive as time goes on, and it becomes more difficult to find a provider. They spread other misinformation like claiming there is a link between abortion and breast cancer, or that it often causes infertility or mental health problems. If these organizations exist to convince people to “choose life” why would they advertise themselves to confuse people into thinking that they are an abortion provider? Many call themselves “clinics” when there are no doctors or nurses on staff, and some will list their centers under “Abortion Services” in the telephone book. Several states and local governments have passed ordinances like the agreement reached in New York, where centers are obligated to inform clients that the center does not provide abortion or birth control, that it is not a licensed medical facility, and that the pregnancy tests it provides are over-the-counter. Other centers have been forced to do the same via court order. H.R. 5652, the Stop Deceptive Advertising for Women’s Services Act would put an end to these unfair practices. It’s sponsored by New York’s Carolyn Maloney and has 36 co-sponsors. I’ve continued to think about President Obama’s words on Wednesday night. I almost didn’t publish my post on continuting to criticize Sarah Palin and Sharon Angle for their refusal to tone down their discourse. But what we cannot do is use this tragedy as one more occasion to turn on each other. These rights are often used together. For example blogging is both freedom of speech and of the press. Religious freedoms are also tied to freedom of speech and the right to assemble. I saw Amanda use the phrase “First Amendment Solutions” and thought it was brilliant. Not only as a rebuttal to Ms Angle but as an update to the slogan that “the solution to bad speech is better speech.” And so I’m going to try an use that phrase more often. Whether it’s Rebecca Drysdale’s awesome new video for the “It Gets Better Project” or Speaker of the House John Boehner following in Nancy Pelosi’s email addresss by setting up a direct email address – let’s call out these First Amendment Solutions where we see them for the positive attention they deserve. Valentine’s day is a month away, and if you are thinking about what to buy your significant other, we are hoping you will consider the environment when doing your shopping. Here are some suggestions of how to green the more traditional gifts given this time of year.